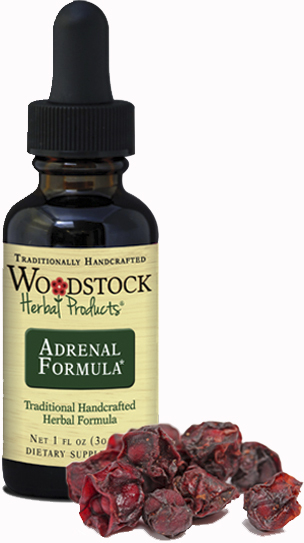 Woodstock Herbal Products ADRENAL ENERGY FORMULA ~ is an all natural herbal product formulated to help the body deal with stress and lack of energy. Adrenal Formula enhances energy without the downside of artificial stimulants.For our many customers who once used the Quantum Herbal Adrenal Energy Formula, this is the same effective formula, made with the same ingredients. Contains: 48-58% Certified Organic Alcohol. ADRENAL FORMULA ~ enhances energy without the downside of artificial stimulants, using the same formula as Quantum Herbal Adrenal Energy Formula.